Low level radiators that run from a diesel boiler and a multi fuel stove. 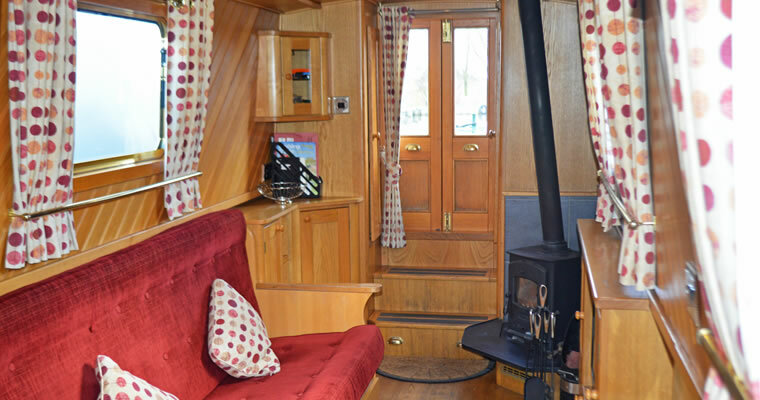 Festina Lente was built by Elton Moss Boatbuilders in 2010 and offers a rear bedroomed layout with wooden floors throughout. She was repainted in 2016. 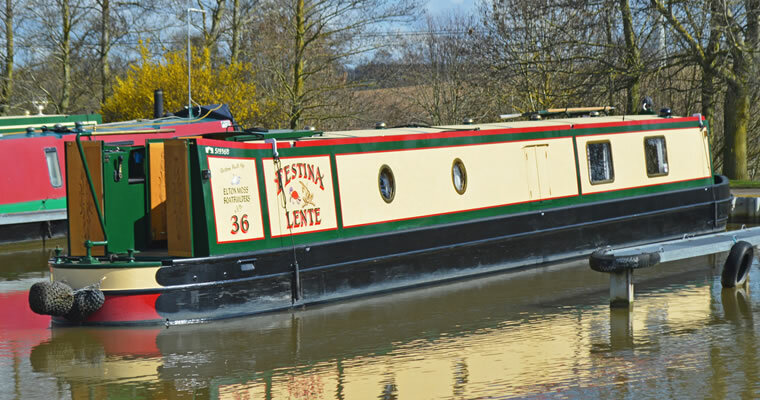 Festina Lente is currently based at Dunchurch Pools Marina in Northamptonshire, on a Saturday turnaround. 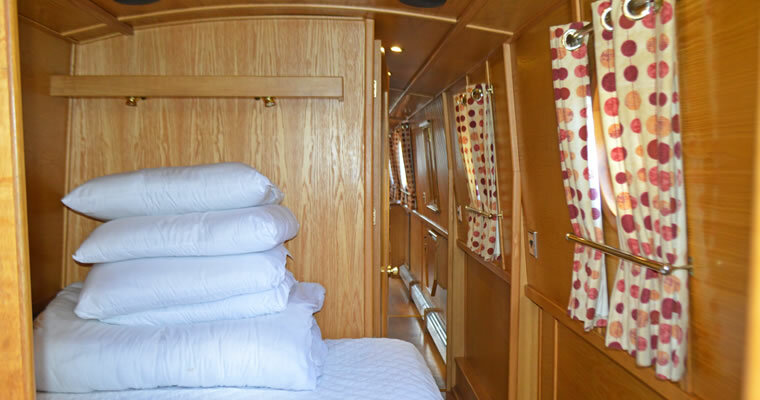 The boat is designed to accommodate up to six people in a 2 + 4 format and is pet free. 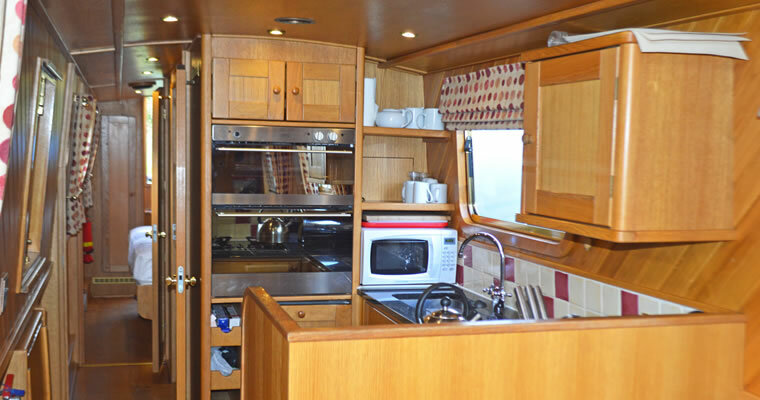 Galley: A spacious Galley, with the full domestic sized gas oven and grill, separate four burner gas hob, 230v microwave, fridge/freezer, a dishwasher and granite worktop. 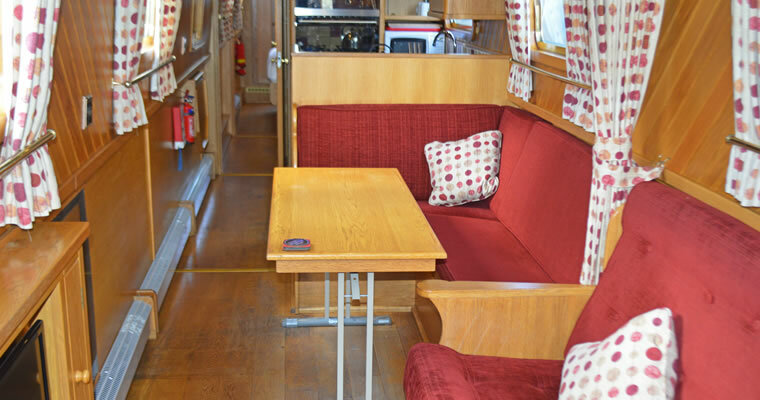 Saloon: The saloon has comfortable built in seating that converts to beds and a wood burning stove. There is a built in flat screen TV, a DVD player and Radio / CD player. 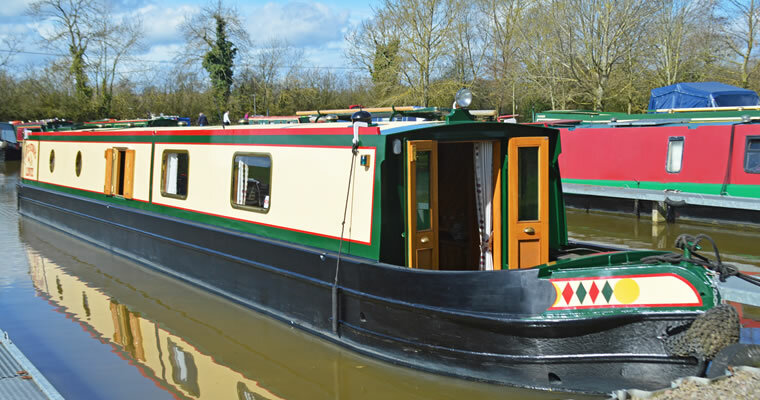 Please note: Unlike some other Share Boat schemes, our syndicate budgets include the FULL running costs of the boat, and so show the total annual amount that you will pay towards maintaining and using your boat (excluding diesel and pump out). 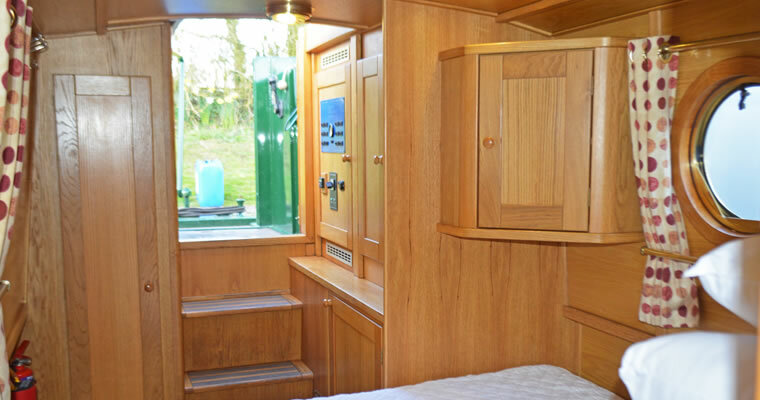 Our syndicate budgets include a budget for winter works (sometimes called annual maintenance) and a contribution towards future repairs, such as repainting the boat or replacing the engine. Some schemes show only the actual annual running costs of the boat, with no contributions shown for winter works or for future major repairs. They LOOK cheaper BUT THEY’RE NOT! It’s all part of our open, honest and transparent service. Sorry, there are no shares currently available for this boat.